Fructose Malabsorption – Is it the cause of my tummy troubles? 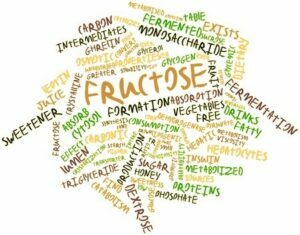 Fructose is a sugar that is found in many foods such as fresh fruits and honey, high fructose corn syrup and many processed foods. It is also a component of plain table sugar , and some vegetables. Some people cannot completely absorb fructose in their small intestine-the beginning part of the digestive tract. The undigested fructose is then carried to the colon where our normal bacteria rapidly devour it. In the process, the bacteria produce gases which cause the intestine to swell. This is experienced by the person as bloating, cramping, gas and distention. Diarrhea may also occur due to the undigested particles of fructose. This is also known as hereditary fructose intolerance. It is VERY different from fructose malabsorption and we will not cover it here except to say the following: it occurs in infants, is hereditary and can lead to severe health problems such as liver disease, seizures and mental retardation. The names are similar but the entities are VERY different. There is some confusion in that fructose malabsorption is at times referred to as DIETARY fructose intolerance. We are discussing FRUCTOSE MALABSORPTION. Why is it important to people with celiac disease or gluten intolerance? The symptoms of celiac disease and non-celiac gluten sensitivity (NCGS) can be very similar to the symptoms of fructose malabsorption . Thus, the diagnoses’ may often be confused. Fructose malabsorption can also mimic lactose/milk intolerance- a common diagnosis amongst celiac and NCGS patients. Fructose malabsorption (FM) may also be seen withceliac disease or NCGS and should be considered in these patients who are already on a gluten free diet, yet have ongoing symptoms. Irritable bowel syndrome (IBS)- an unfortunate co-factor for some celiac and NCGS patient- also shares symptoms with fructose malabsorption. 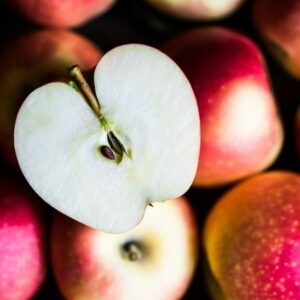 Recent research is indicating a large percentage of IBS patients may actually have fructose malabsorption and will see improvement of symptoms on a low fructose or Low FODMAP diet. Onset of symptoms can occur at any age. Symptoms vary depending on the person and the amount of fructose they have eaten. Some people can tolerate much more fructose than others. The most common symptoms are bloating, gas, cramping and diarrhea. When diarrhea occurs over prolonged periods, nutrient deficiencies and their symptoms may appear. The most common nutrients affected are folic acid, zinc, iron, tryptophan, calcium, vitamin c and e. Elevated blood levels of amylase and lipase-enzymes from the pancreas- may also be seen. Some people may also experience symptoms such as fatigue, headaches, brain fog, mood changes and constipation. How do I test for it? The standard test done to evaluate for fructose malabsorption is called a Hydrogen Breath Test. This is a simple test,that can be done in the office and requires no blood be drawn. Some patients choose to start with a fructose elimination diet in lieu of the hydrogen breath test. This is best done in conjunction with a dietitian familiar with fructose malabsorption to assure the diet is initiated properly and adequate nutrition is maintained during the elimination period. If fructose malabsorption is the problem and the diet done correctly, it often yields good results. If the elimination diet does not yield clear results and fructose malabsorpton is still a consideration, the breath test should be performed. The treatment for fructose malabsorption is a low fructose diet. This is a diet that limits foods containing high amounts of fructose or with a significant amount of fructans. Fructans are a form of fructose found in wheat and vegetables. 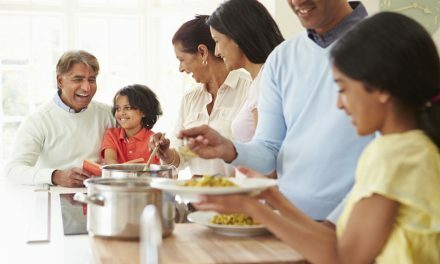 There are extensive lists of foods available online if you are interested in a more detailed list. What is the Low FODMAP diet? What does it have to do with Fructose malabsorption? Fructans-as mentioned above. A form of fructose found in wheat and vegetables. The most common vegetables are onions, and garlic. Other common fructans are inulin and fructooligosacharride (FOS). These are found in many probiotics and “nutrient fortified” foods. Polyols– A sugar alcohol. The most common are the artificial sweeteners sorbitol, xylitol and mannitol. The Low FODMAP diet has been used in the past for inflammatory bowel disorders such as Ulcerative Colitis and Crohn’s disease. It is more recently in the press for its use in IBS. The low FODMAP diet eliminates fructose but it also eliminates other sugars in addition to fructose. If fructose is an issue for me, do I have to follow the diet forever? Everyone has a different tolerance level to fructose. It is recommended to follow the diet strictly for 4-6wks. and then re-introduce fructose containing foods one at a time every four days. Each individual will find their own tolerance level for dietary fructose. If your symptoms have subsided on a low fructose diet and they return upon reintroduction of a food. You have found your sweet spot! The best news is you may have also found the answer for your digestive woes!